abeteterington: ARRESTED! Juelz Santana Taken Into Custody After Drug Raid! ARRESTED! Juelz Santana Taken Into Custody After Drug Raid! Uh oh! 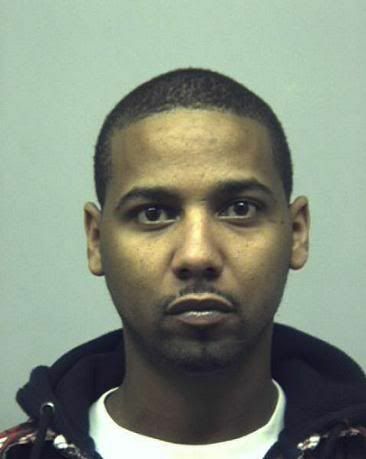 Rapper Juelz Santana just got caught up by the Bergen County, New Jersey police department. He was just arrested and taken into custody tonight, only a week and a half after his studio was raided for drugs. According to Rap Radar, the Bergen County Police Department's Gang Office just brought Juelz into custody. He's been arrested on 4 counts of narcotic and weapon offenses. At the end of January, police raided Juelz's studio and two loaded 9 millimeter guns, ammo, 17 bags of marijuana and paraphernalia were seized. Sigh. Juelz recently welcomed a new baby with his video vixen girlfriend Kimbella.